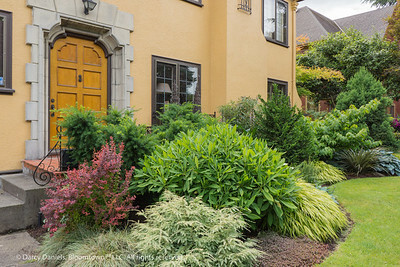 Mixed border, shown here during late winter. 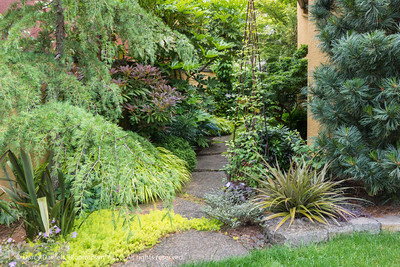 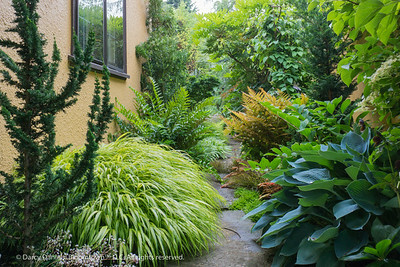 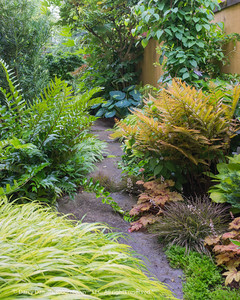 Dominant plants include: Tsuga canadensis 'Moon Frost', Edgeworthia chrysantha, Chamaecyparis obtusa 'Filicoides', Stachyurus praecox, Astelia 'Westland' and Cryptomeria japonica 'Rein's Dense Jade. 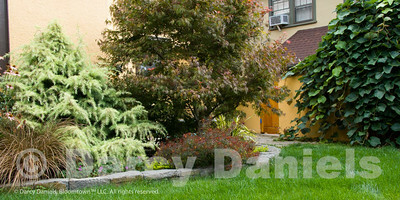 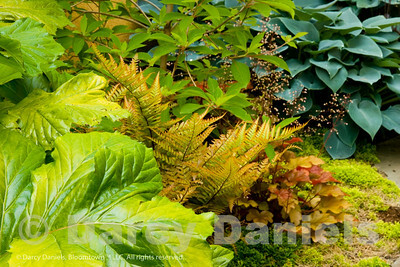 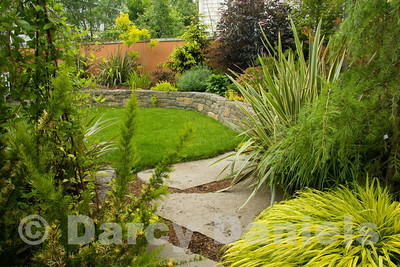 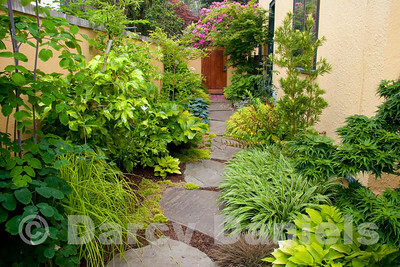 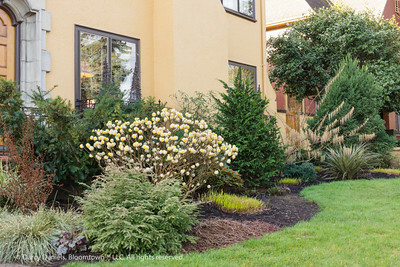 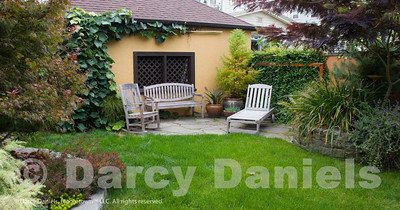 Garden Design: Darcy Daniels, Bloomtown Gardens, http://www.bloomtown.net.